In earlier blogposts, I laid the foundations for my predictions, and proceeded to discuss a few municipal-level issues, along with how next year’s political situation in Ontario might play itself out. I predicted that the Liberal government will fall, but I was uncertain whether that would be in the late winter/early spring, or whether it would survive until the fall with the help of Andrea Horvath’s NDP. Regardless of timing, however, I predicted that Ontario’s next government will be the NDP, likely in a minority situation with support from the Liberals and Guelph’s newly elected MPP, Green Party of Ontario Leader Mike Schreiner. 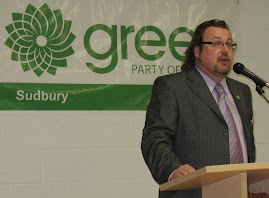 Building on the trend of electing Greens, in Part 4 of this series, I’m going to turn my attention to a few of Canada’s other provinces, and the national political scene. All eyes are going to be on B.C. for the scheduled May 14th provincial election. It is widely expected that B.C.’s Liberal government, led by Premier Christy Clark, will give way to the NDP, led by Adrian Dix. However, with the Conservative Party of B.C., a possible right-wing foil to Clark’s Liberals (actually a coalition of liberals and conservatives) looking like the gang who couldn’t shoot straight (and with the falling polling numbers to suggest that they really can’t), the Liberals might not end up getting decimated on the 14th. That being said, Clark’s Premiership has been disastrous, and the Liberals can expect to reap the whirlwind. Look for Dix and the NDP to win an extremely strong majority, leaving only a handful of Liberals and maybe one or two Conservatives behind. Joining them in the Victoria will be the Green Party of British Columbia’s first ever MLA, Andrew Weaver. A few other Greens will find themselves in tight races on election night, but globally respected climatologist Weaver will handily win the riding of Oak Bay-Gordon Head. I’m always reluctant to weigh in on politics in Quebec, largely because there are nuances in the political scene which I do not understand as well as I ought to. And these nuances can often translate into significant political eruptions. Who, for example, would have thought that the casserole protests which started in Montreal would have led directly to the defeat of Quebec’s Liberal government, and former Premier Jean Charest losing his own seat, and retiring from government? Yet, when Charest cynically called an election in the late summer of 2012, ostensibly to capitalize on the public ill-will towards the protesters (and to silence the student protesters amidst a summer campaign), it ended up being Pauline Marois’ student-friendly Parti-Quebecois who benefitted, albeit with a very delicate minority and the lowest popular vote percentage for any government in Quebec’s electoral history. Interestingly, two members of the ultra-left wing separatist party Quebec Solidaire were also elected to the legislative assembly; Quebec-Solidaire, which advocates for Quebec sovereignty, has many links to Tom Mulcair’s NDP, and their participation in the election was probably the reason that Quebec’s NDP MP’s opted to sit out the provincial campaign, concerned (rightly) with how the optics of their participation would play out in the rest of Canada. Marois has done a pretty decent job (so far) of steering her government through controversies, although with the Liberals currently leaderless, some have suggested that she could have acted more boldly to implement her agenda. On March 17, 2013, the Liberals will select MNA Philippe Couillard to lead the Party, and when the National Assembly returns, all bets are off for Marois. Expect to see Liberal polling numbers bounce (despite significant negative press emerging from the Charbonnea Commission), and with the support of a hungry CAQ, Quebec’s third party, Marois’ minority government will fall in 2013. Couillard will govern with a minority, seeking PQ and CAQ support on an issue by issues basis. Post-secondary student tuitions will rise. The big story on the national scene in 2013 will be a non-event: the established status-quo will not be shaken up. 2013 will look a lot like 2012, with the Liberals switching places with the NDP in terms of electing a dynamic and capable leader. However, the Stephen Harper’s Conservatives will continue to poll in the mid-30s, as neither the NDP nor Justin Trudeau’s Liberals being able to find a way to entice the Conservative base. Trudeau will easily win the Liberal nomination on the first ballot, having signed up a significant new number of Liberal supporters. As a result of the Liberals new way of electing a Leader, Trudeau will be able to lay claim to having had the most individual Canadians elect him as Leader of the Party. The Liberals will see a slight bump in the polls, and may even surpass the NDP in national polling, but the 2015 election will be fought riding-by-riding, and in battleground Quebec, the NDP will continue to consolidate their 2011 gains. The Harper government will continue to push through sweeping changes to Canada’s social and environmental programs through omnibus budgetary legislation, without the benefit of reasoned debate. The Conservatives will continue to play fast and loose with our democracy, and although there will be more scandals (including a big one involving the partisanship of the Speaker of the House which may lead to his replacement), by and large Canadians will continue not to care. Even the global recession which I predicted won’t significantly impact the Conservatives polling numbers, as blame for lost jobs and divestment will land elsewhere other than at Harper’s feet. The biggest scandal Harper will have to deal with will lead to a temporary dip in Conservative popularity: Harper will not re-appoint Kevin Page to the post of Parliamentary Budget Officer. Instead, the post will remain vacant for a few months while a less aggressive PBO can be found. The mainstream media will howl, but for the most part, Canadians won’t notice Page’s termination. Conservative polling will recover a few weeks afterwards. The Joint Review Panel will be making a recommendation on the Northern Gateway pipeline later in 2013, although additional time may be requested which will take the JRP into 2014. After “careful consideration”, the JRP will make the favourable recommendation for the pipeline which just about everyone has predicted. Despite the endorsement of the JRP, and the Conservative government’s backing of the pipeline, the Northern Gateway pipeline will remain just as dead in 2013 as it is at the end of 2012. While the JRP might maintain that obstacles such as mountains, rivers and wildlife habitat can be overcome, other obstacles, including the rights of First Nations, won’t be. First Nations will continue to play an interesting role on the national political scene throughout 2013. The collegial Idle No More protests, which began late in 2012, will continue for the first part of 2013. The nature of the protests, however, may begin to evolve in the spring of 2013, and I am reluctant to speculate on how they might do so. Whatever direction these protests head in, however, and as much as it pains me to write this, I believe that the tide of public opinion is bound to turn against First Nations in 2013, as protests begin to inconvenience non-protesters. First Nations will continue to find that they are shut out of federal decision making processes, as the Harper Conservatives frankly have little to gain by working with First Nations in broader terms. While they will want to be seen to be doing what they can on a reserve-by-reserve basis, the simple demands of respect for First Nations as articulated through Idle No More will not resonate with the government, or with a majority of voting Canadians. Canada can expect to enter into free trade agreements with the European Union and China in 2013. There will be little or no debate in parliament about whether these are a good idea. The European Free Trade Agreement in particular will have an immediate impact on the lives of Canadians, as protectionist policies for our domestic dairy producers will come to end. Longer term, these agreements will make it more difficult for our federal and provincial governments to enact legislation to protect the environment, regulate land use and the emission of pollution, and signal their preference for projects which prioritize Canadian jobs over foreign jobs. Although Elections Canada maintains that its investigations into the Robocalls election fraud scandal is continuing, in 2013 expect to see little in the way of results. Whether that’s because the fraudsters were successful in covering their tracks, or because the resources which Elections Canada can bring to bear on the investigation are inadequate and meagre, don’t expect to see results. The guilty will go unpunished, and largely unrecognized by the Canadian public. The court case brought forward by the Council of Canadians to demand by-elections in several ridings in which voters experienced fraudulent robocalls directing them to wrong polling stations will be ruled on in 2013. The Court will determine that the Council of Canadians miserably failed to demonstrate any impacts on the outcome of any of the elections at the riding level, concluding that there is no need for by-elections. Due to the miserable failure of the case, the Court will shed little additional light on the standards for showing harm for future cases. A poll released in the summer of 2013 will show that most Canadians aren’t engaged on Robocalls, and that while two thirds believe that they were committed by the Conservative Party, another third of Canadians will lay blame on the Liberals or independent mischief makers. Environment? Forget it. Some pundits are claiming that environmental issues will re-emerge in 2013, and there may be some merit to those assertions, at least in terms of more politicians wanting to talk the talk (including Conservatives). But the fact is, we’ve taken so many steps backwards in 2012 (Kyoto; two omnibus budget bills which scuttled environmental protection by watering-down the CEAA and killing the Navigable Waters Protection Act), the ground we’ve lost in the name of “efficiency” (read: economic exploitation) cannot be re-won, and politico’s won’t be going there (including Tom Mulcair, much to Megan Leslie’s increasing annoyance) because there will be no votes in it at a time of recession/anaemic economic growth. That being said, I do expect Canadians concerns about the environment to increase throughout 2013, although with global economic recession not far from everyone’s mind, the environment will continue to poll as a distant concern to the economy. This situation is likely to remain until such a time that pollsters, media, and our elected officials begin to actually understand that the economy exists as a subset of our natural environment, and that the two can’t be separated from each other. As an example, many Canadians continue to view climate change as an environmental problem (which it is), and not as an economic problem (which it is). When viewed through the single lens of “environment” only, the costs of taking action on climate change can easily become prohibitive. When viewed through the dual lens of “environment and economy” however, the costs of inaction become just plain stupid. In Part 5 of this blogpost, I'll take a specific look at what I think 2013 holds for each of Canada's national political parties.